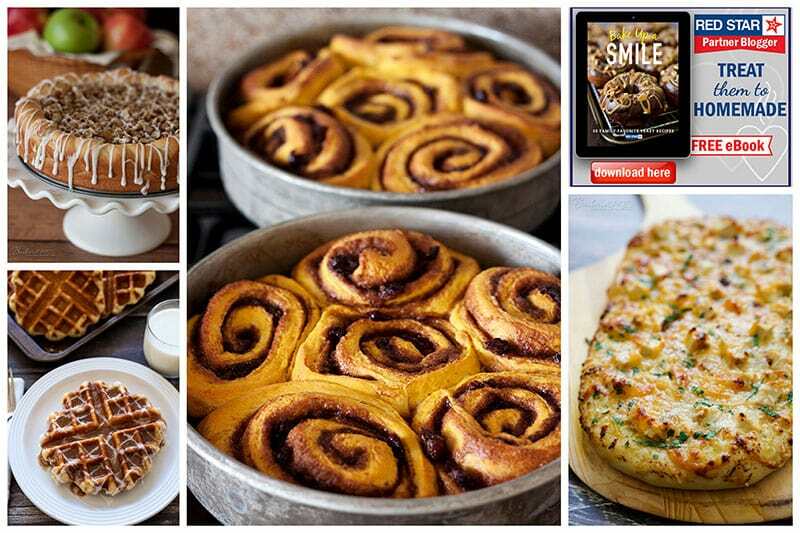 Learn how you can get a Free Bake Up A Smile Cookbook! I’ve partnered with Red Star Yeast for the last several years to create recipes using Red Star Yeasts. For the last several years, Red Star Yeast has teamed up with Stop Hunger Now, an international hunger relief organization. Your purchase of Red Star Yeast helps provide 200,000 meals annually to people suffering chronic hunger around the world. To further help raise awareness of the great work Stop Hunger Now is doing, Red Star Yeast has created a cookbook, Bake Up A Smile. The cookbook is available as an eBook or you can also get a printed copy. It’s filled with 30 family-favorite yeast recipes created from Red Star Yeast by Red Star Yeast partner bloggers, like me! 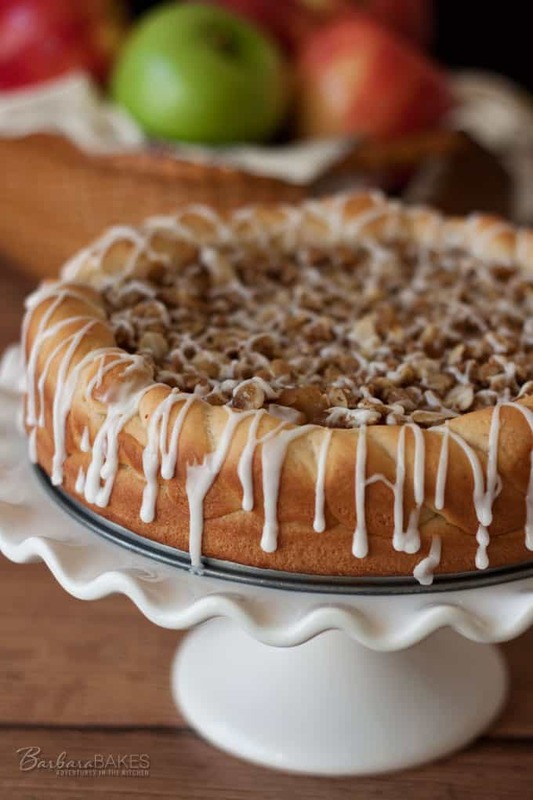 You can find out more information about Baking The World a Better Place on my Apple Crisp Sweet Roll Coffee Cakes post. Four of my recipes developed for Red Star Yeast are included in the cookbook. 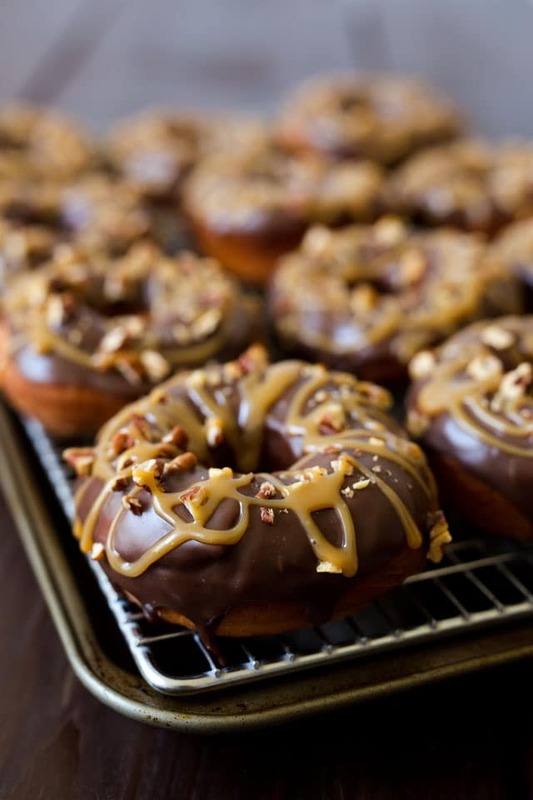 My Chocolate Caramel Pecan Turtle Doughnuts are pictured on the front cover of the cookbook. 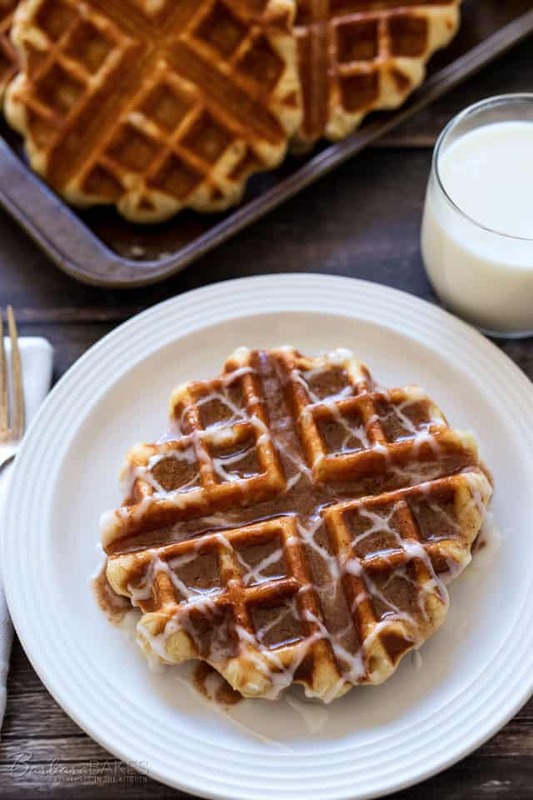 My Cinnamon Roll Liege Waffles are included. 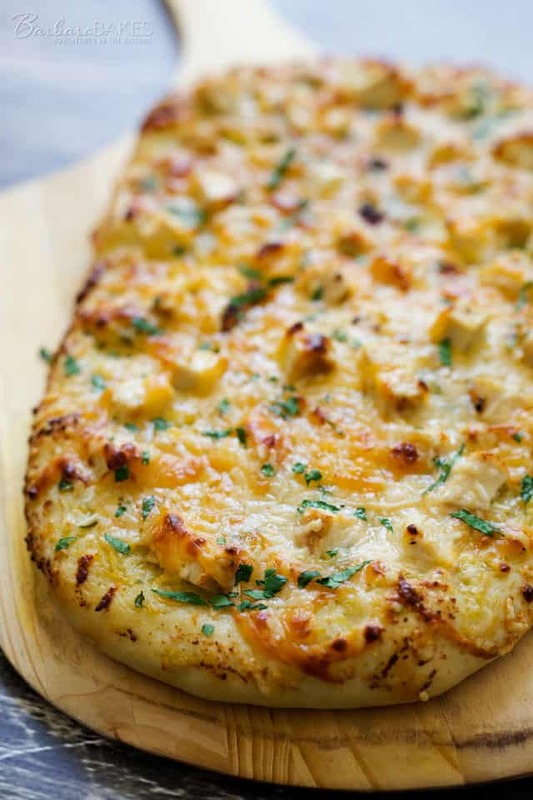 You’ll find my Lemon Artichoke Pesto Chicken Flatbread in the cookbook. 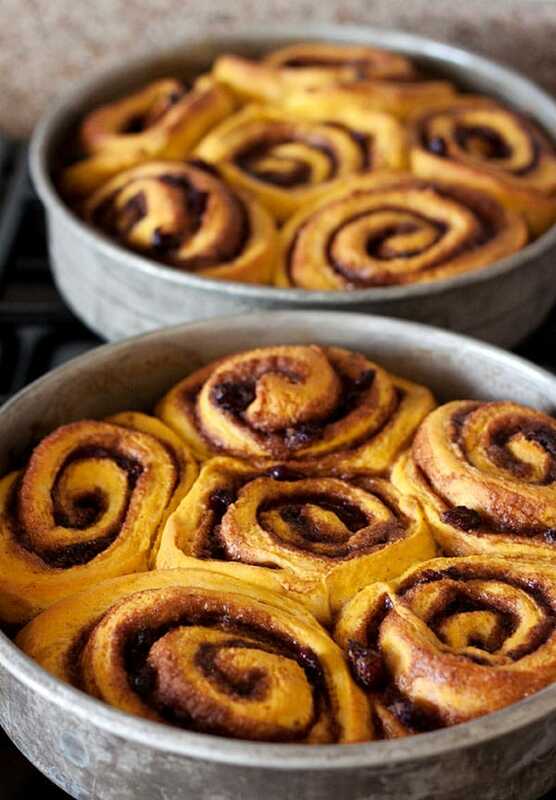 And my Pumpkin Sticky Buns recipe was created for the cookbook and is only available in the cookbook. 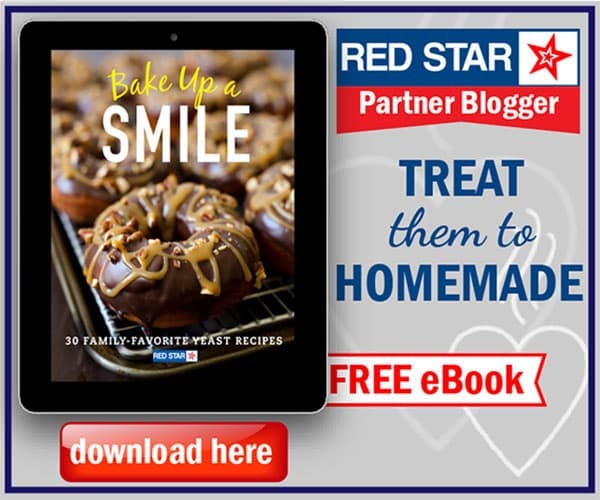 Download a Free Bake Up A Smile Cookbook, or if you’d like to have a printed copy, be one of the first two people to leave me a comment stating they’d love a copy, and Red Star Yeast will mail you a free copy. The Sweepstakes Giveaway is only open to residents of the US. Be sure your email address is included with your comment. Both copies have been given away. Thanks! I’m happy to be a part of this delicious little cookbook. It’s beautifully designed by the talented Heidi Larsen of Foodie Crush. Other talented bloggers contributing recipes to the cookbook are Stephanie, Girl Versus Dough; Jessica, A Kitchen Addiction; Roxana, A Treats Affair; Annalise, Completely Delicious; Gerry, Foodness Gracious; and Milisa, Miss in the Kitchen. Hi Danita – you have to go to http://redstaryeast.com/bake-up-a-smile-ebook/ and download the cookbook. Have fun! I love your recipes and pictures – thanks!!! Why is it that I am ALWAYS to late!!! I was hoping to get a copy and give to my grandma, sine she doesn’t own a computer. OMG! I sure hope I can get a printed copy! I absolutely love to bake and I always use Red Star. It’s the best! Thank you for doing this. That’s great Marsha! You get the second copy. Congratulations 🙂 Can you please email me your mailing address? Thanks! Well I clicked the link and added my email address BUT no download. Sure hope I’m one of the lucky two! Hi Sue – sorry you had trouble with the link. When you click Get Access, it should take you to a new page with a Download Your Copy link that you click to start the download. What a lovely surprise on a dreary rainy morning – the FedEx man delivered my recipe book!! LOTS of yummy things to pick from! And yeast samples to try them with!! Thank you and Red Star for the wonderful inspiration. Happy baking to all! That’s great! I’m glad you received it so quickly. So nice of them to include yeast. Congratulations again.